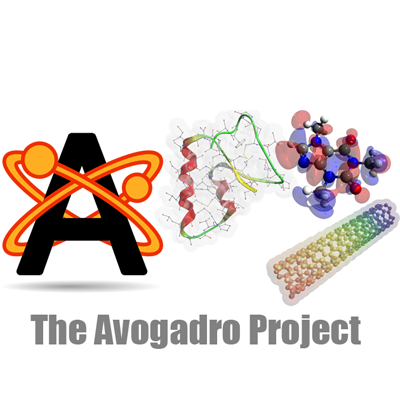 Avogadro is an advanced molecular editor designed for cross-platform use in computational chemistry, molecular modeling, bioinformatics, materials science and related areas. It offers a flexible rendering framework and a powerful plugin architecture. Space-filling model of Loratadine created using Avogadro. Molecular builder/editor for Windows, Linux, and Mac OS X. All source code is available under the GNU GPL. Translations into Chinese, French, German, Italian, Russian, and Spanish. Supports multi-threaded rendering and computation. Plugin architecture for developers, including rendering, interactive tools, commands, and Python scripts. OpenBabel import of files, input generation for multiple computational chemistry packages, crystallography, and biomolecules.